These lectures give an introduction to principles of mass spectrometry related to analysis of biomolecules. The book is focused on MS and MS/MS analysis of peptides, oligosaccharides, lipids, glycoconjugates and polyphenols. The basic properties of modern MS ionization techniques and mass analyzers are presented, as well as MS methods appropriate for analysis of each class of biomolecules in modern scientific research. 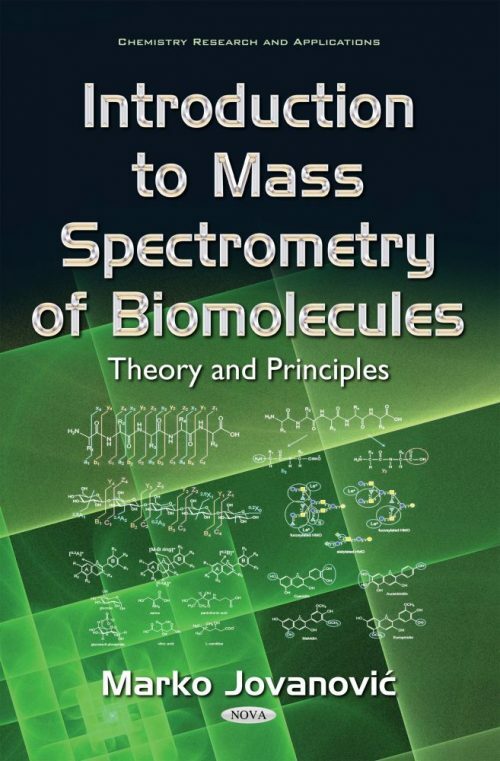 The biggest part of the book is focused on MS/MS analysis of biomolecules; how the MS and MS/MS data are generated and what are the basic strategies for their structural analysis. The book also covers principles and examples of advanced MS/MS analyses, serving as a platform towards intermediate level of understanding of scientific research carried out in the field of structural MS analysis of biomolecules. Nevertheless they will be covered only briefly here, and for further information on advanced topics of interest, the reader is encouraged to study the primary scientific literature. This book is written for final year undergraduate/first year graduate students in Chemistry and Biomedical sciences research fields. All high quality academic institutions may find this book useful. Regulatory analytical laboratories using mass spectrometry can also benefit from this book. This book is not intended for nonprofessional people.